Goosebumps by R.L. Stine that is! My daughter was a reluctant reader until she discovered Goosebumps. She would listen to me read every book we got until eventually she started reading them on her own and picking them up at the library or at the book fairs at school. Anything that will get her to read is something I am totally behind and I find that I really like them too. Thankfully they have been around forever and there are plenty of books to keep them interested. 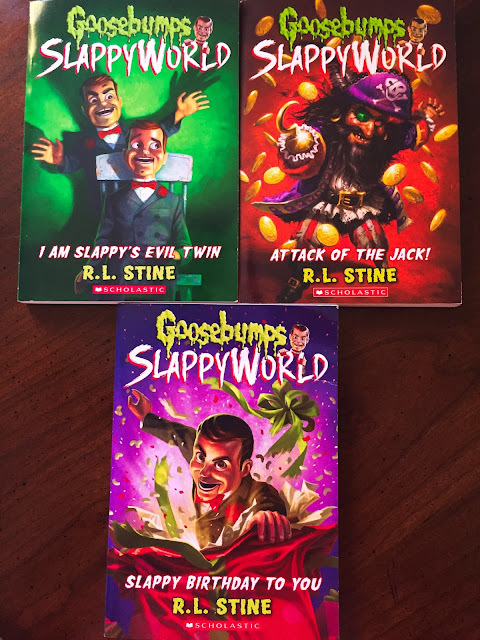 Slappy welcomes the reader to his world and introduces every novel in his own hilarious, menacing style. "This may be the most awesome story ever written!" he exclaims. "Mainly because it's about ME! "He introduces -- and stars in -- Slappy Birthday to You -- an all-new Slappy adventure with perhaps the most terrifying birthday party ever. They lift the lid slowly-and see that it's filled with antique jack-in-the-boxes. Huh? One box is hidden under the others, covered in dust. It plays an odd unpleasant song. Up pops a very ugly, mean-looking puppet, an old pirate with a dirty red bandana over his long greasy hair, scars on his cheeks, and a beard, and one eye missing. "Thanks for letting Sailor Jack out!" he rasps, bouncing on his spring. Devin and Violet now face new and troubling questions: Will Jack return them to their uncle? Just how much is a pirate's promise worth. There are so many to choose from. I am partial to Horrorland while my daughter likes the Goosebumps classics. Once they are done reading, you can watch Goosebumps on Netflix or even throw down the Goosebumps movie starring Jack Black. We have watched it at least 15 times. It is truly great. 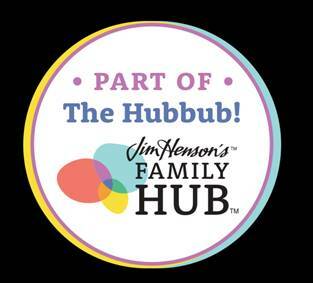 Head over to Scholastic to find out everything you need to know about Goosebumps, R.L. Stine, play games and there is even a Parent Guide to Goosebumps. 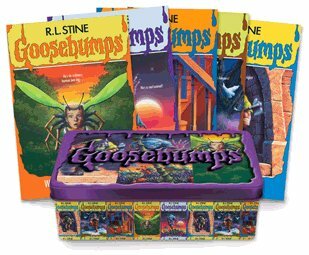 This comes with 5 of the best Goosebumps books ever and they come in this really cool tin. What Goosebump reader wouldn't love this? The covers were changed a bit, they are not bumpy like they used to be and the story a little bit different to update it from the originals but the Goosebumps are still there. These are great first horror books for kids. Not too scary, very witty and an entertaining story line too!